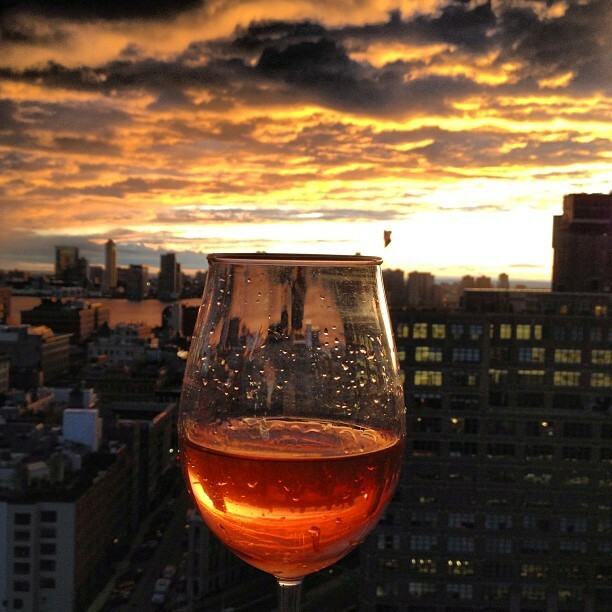 So Naomi Watts’ brother Ben debuted his rosé last night in NYC and ordered the sickest sunset as his backdrop. A limited run of 8,000 bottles will be sold at wineawesomeness.com, $18 each. It’s from Rioja and very light, like strawberry water. But I like how they say in their descrip that it’s “Perfect with everything, especially tans.” Isn’t all rosé? Tags: naomi watts, rioja, Rose, wine. Bookmark the permalink. This reminds me that there can be a perfect ending to an almost perfect day! Do I hear Sade or Mozart playing!…LOL. Nope – Daft Punk’s “Get Lucky” – my song of the summer! Great photo – great song!